Gary Jenson, Age 82, amazing husband, father, grandfather, and great grandfather, passed away Tuesday February 5, 2019 with his loving family at his side. He was born on October 30, 1936 to George Morgan and Phyllis Jessop Jenson. He was the fourth born of five children. Pa married his loving wife Lawana Dale Sowle on March 26, 1960. Pa was born, raised, married and passed away in his lifelong home in Millville, Utah. Pa grew up learning hard work and dedication on the family farm. While growing up, he acquired his love for horses and cattle. Pa developed amazing skill with a rope and a horse which led him to falling in love with the sport of rodeo. He was an All- Around cowboy who competed in all rodeo events but excelled in the Bull Riding, Bull Dogging and the Team Roping. Along with competing, he was a stock producer and an excellent pick-up man. For over forty years, he got up at 3 in the morning to milk his cows to be able to get to his job in Ogden where he hung dry wall, then to hurry back home to milk his cows in the evening. Pa spent a lot of his spare time up Millville Canyon with the cattle, hunting, camping, or with family gatherings. 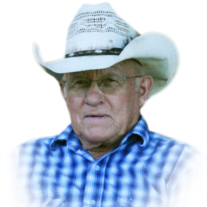 He was involved in leadership positions with the Millville Gar Spring, Millville Cattle Association Providence Cattle Association, Rocky Mountain Rodeo Association, and the Bridgerland High School Rodeo Team. Over the years, Pa has continued to help many young athletes acquire their rodeo skills. He taught several young cowboys the art of Bull Dogging. Many of these cowboys advanced to a state level and then a national level. Pa loved all of the Holidays. He was known for putting up many Christmas lights and decorations. Pa taught us the importance of family and spending time together. His grandchildren and great grandchildren brought lots of joy to his life. Pa is survived by his wife Lawana, son Shane, daughter Stacey (Keven) Bankhead, sister in-law Mid Jenson, Eight grandchildren and nine great grandchildren. He is preceded in death by his parents; brother Bud Jenson; sisters Jacky (Owen) Hancey, Iva Lou (Roy) Ropelato, and Kitty Jenson. The family would like to thank Intermountain Healthcare Hospice and the nurses for all the care they took to Pa. We would also like to thank friends and neighbors for the love and support they have given us during this difficult time. A viewing will be held on Sunday February 10, 2019 from 6-8 pm. The funeral services will be held on Monday February 11, 2019 at 11am with a viewing held before from 9:30 to 10:30am. Both the viewing and funeral services will be held at Allen-Hall Mortuary located at 34 East Center Street in Logan, Utah . Interment will be in the Millville Cemetery.